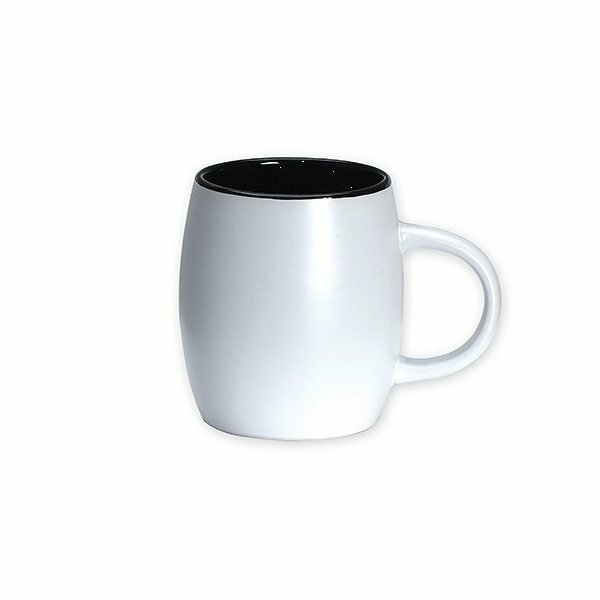 11 oz flat white ceramic mug with contrasting inner color. 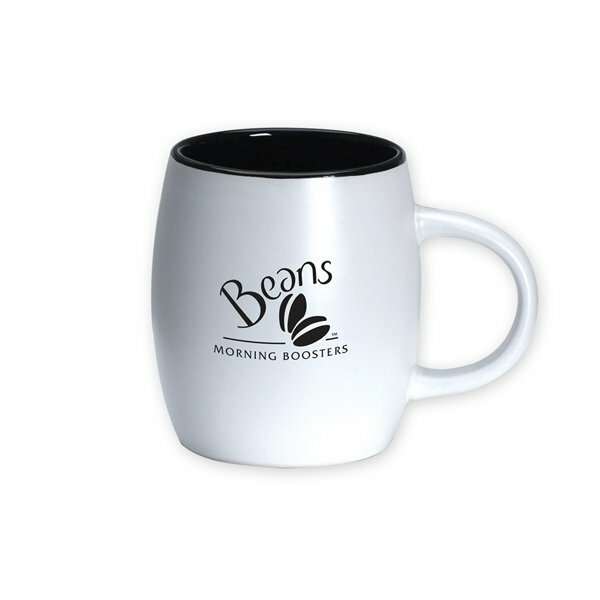 these are a great gift. I liked my sales rep Rose the best. I liked the logo embroidery. loved everything about it.